For a number of years, file sharing has been tearing up the rule books and opening the doors to those who like to download legally and illegally. Regardless of how much the authorities try to close them down another one pops up. BitTorrents still remain extremely popular with the most common client being uTorrent but Vuze follows closely behind. Is has been created using the Azureus client which means that it is open source and this means that users can download it for free. It also means that its developers know exactly what they are doing. Vuze comes packed with features and the developers state that it uses very little resources which makes smooth. It is user-friendly and the interface is easy to navigate but it also prevents VPN disconnects which stops downloads should a VPN connection fail. However, it has been recently found in a study that Vuze is very slow to download when compared to uTorrent. This is something that could lead to disagreement amongst users but one other problem is that it is also considered as adware. This is down to the fact that a web browser toolbar is installed during the installation process although users do have the option to stop this – this is something we would highly recommend. What features does Vuze offer? It is known to be extremely slick thanks to its basic user interface. This makes it intuitive to use and the developers have done a clever job making it look like uTorrent. What you need is a guarantee that the security is there for you and you can be sure that Vuze has your back. VPN disconnect protection will stop any downloads immediately should a connection fail. What this means for you is that the favourite show that should be paying for won’t give away your identity! This is a feature that should work without any prior set up but we do advise you to keep an eye on it. Does transcoding float your boat? If so, then you will love the fact that you can convert video so that it can be viewed on a number of devices. When we say a number of devices we really mean it! A neat HD video player is part of the software and this allows you to watch content in….well…HD of course! For those of you who just have to have more you will be pleased to hear about the wide range of plugins available. This allows you to customize Vuze and give it new functions. The client allows you to search for torrents but in our experience it is not worth bothering. It is about as useful as a carpet fitters ladder. If you like to stay in control then you can pair Vuze up to a mobile device which will allow you remote access to your BitTorrent downloads at any time. Do you want to stay anonymous? Do you like to stay under the radar from prying eyes? Do you want to evade government laws? No, this isn’t an advert for creeps anonymous, we are simply trying to point out what a VPN can offer you. It is single-handedly, the easiest way to remain anonymous when you decide to download torrents using Vuze. 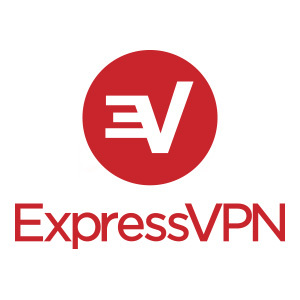 The best VPN providers will enable you to connect to your VPN in one simple click. If you are using Vuze then we do not want to know what you are downloading – no really we don’t. However, we do appreciate that you will want to ensure that you data and information is encrypted. This means that your ISP will not be able to monitor your traffic or downloads. Phew! A VPN Killswitch will allow you to kill any internet connection should you disconnect form you VPN. This will hide your identity and it is a feature that we think you should make great use of. Speed is the name of the game, sounds like a gameshow slogan but it is true when it comes to VPNs. The faster the speed the quicker your downloads – it doesn’t take a genius to work that out…..does it? You do not want to use a provider that keeps logs. When using Vuze it is important that you choose a VPN that keeps no information. This enhances your privacy and is a move in the right direction. When all is said and done….. The world of torrents has been a real bugbear for the entertainment industry for many years. They have tried in many ways to close doors to those who like to break copyright laws but there is always a way around things. For those Vuse users who want to reduce their chances of being found out then the use of proxies or VPN is an absolute must. You need to be certain that the provider you choose does not keep any logs as this will mean that there is no record of you sharing files. For this reason alone it is important to read their terms of service so you know exactly what they do and do not keep. However, we have ensured that the five providers above are legitimate and follow through with their promises. Now it is just a case of deciding which one you prefer to use.